I scrimmed these ivory pistol grips for the customer. 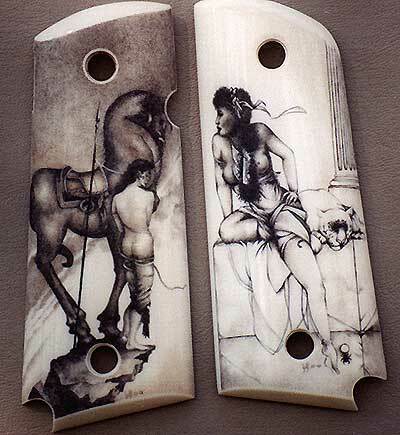 He requested the above scenes "Athena" on the left and "Danae" on the right. Both were borrowed from an artist by the name of Michael Parkes. Click on the picture above for an alternate view.